If you’ve been following this blog since last New Year’s Eve, or have browsed around at all, you might know that the huz and I have an annual New Year’s Eve tradition. And of course it involves food! Each year, on New Year’s Eve (or at least one day that week when we both have time off for the holidays) we prepare a “feast” consisting of a trio of indulgent foods and well, indulge in them. 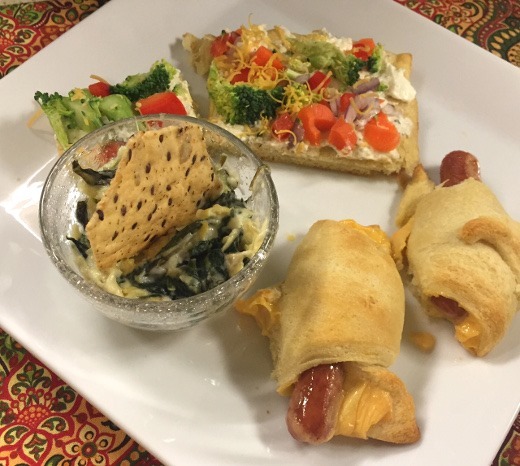 This year’s feast included Veggie Pizza and Pigs in a Blanket, aaaand, new this year: Spinach & Artichoke Dip! 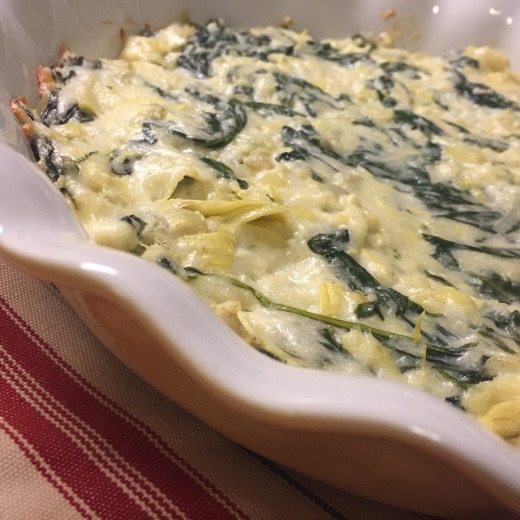 This is the first time I’d ever made homemade Spinach & Artichoke Dip (aka ‘spindip’), and wow, it turned out fantastically! Using a well-reviewed recipe from the Kraft website, I had great success. Even better, the recipe was a cinch. Only six ingredients needed. 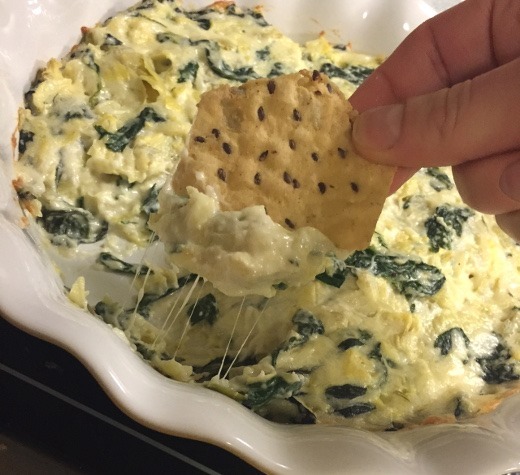 This dip would be perfect for your next gathering or simply when you want a yummy snack. Maybe to go with your favorite TV night? For me, right now, that would be Sunday nights with Downton Abbey and Girls (and can’t wait for Game of Thrones starting Sundays in April!). 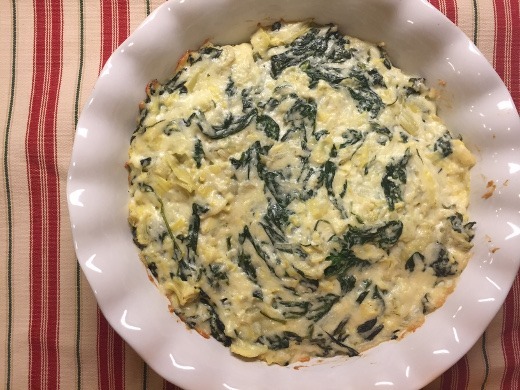 I am positive that we’ll be making this dip for a future New Year’s Eve feast again in the future, if not sooner! Dip looks easy and delicious !